Rotary Club member Richard Johnson OBE noticed a lack of sports available in the local area for the disabled community. 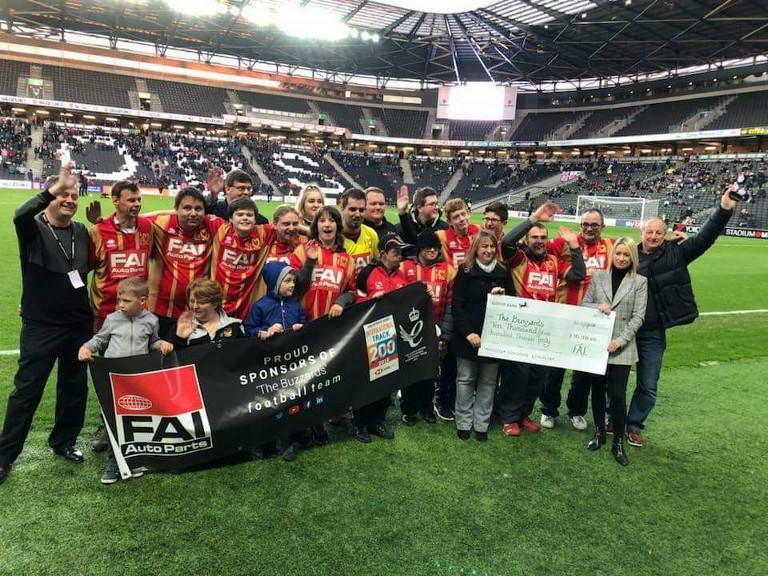 As keen sportsman Richard and colleagues Nick Inwards & Peter Banwell conceptualised on the idea of creating a football team to include all disabilities. 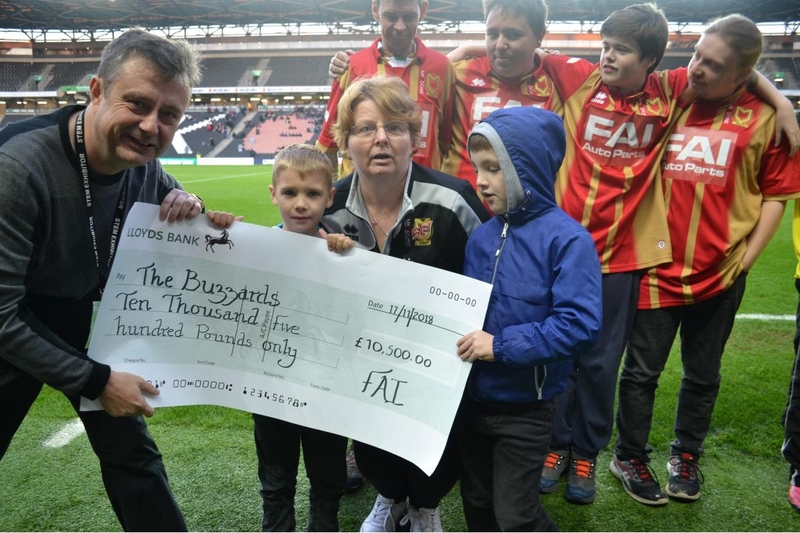 After discussing with fellow members of the Leighton-Linslade Rotary, it was full steam ahead and with that ‘The Buzzards’ were created. 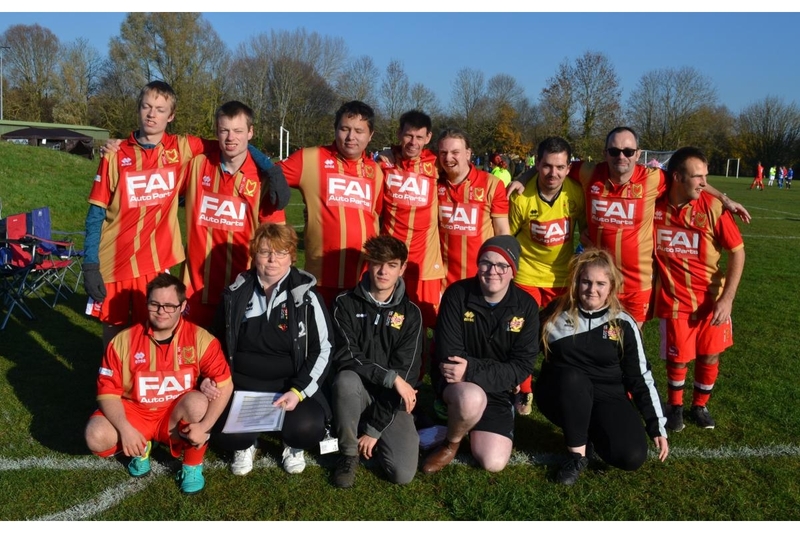 A dynamic, inclusive football team that brings together all walks of life. 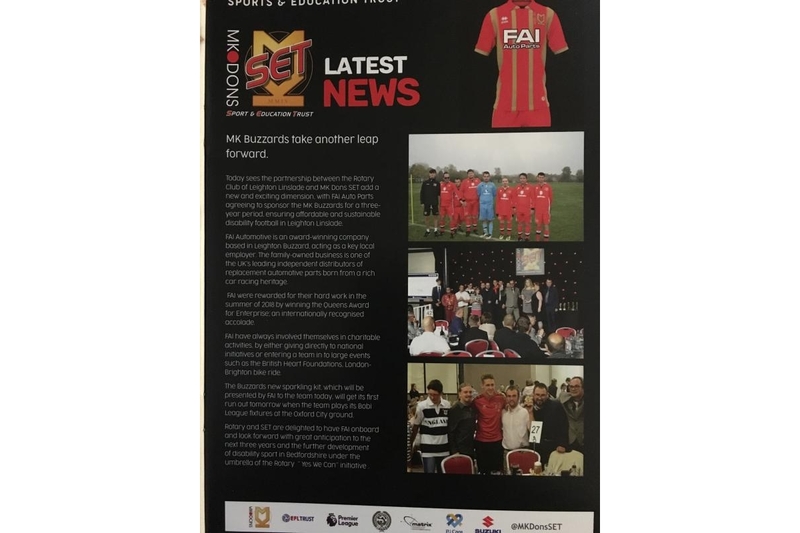 The Buzzards are a part of the MK Dons sports education trust, so they get great opportunities such as; training with MK Dons coaches, attending matches and playing in the ‘Bobi’ league with other MK Dons Set teams. The official sponsorship launch was a day to be remembered and will remain a highlight in FAI’s rich heritage.